We took our children and tested all of the adventures we could find. We explored the meaning behind the Maori place names and learned about both the Maori and European history of New Zealand's largest city. Along the way, we took lots of photos of our family (and our friends’ families) enjoying all that Auckland had to offer. 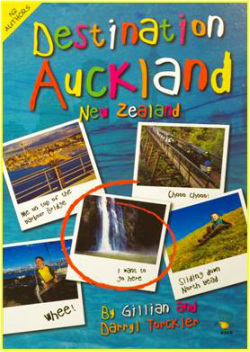 "… these two "destination" books will strike just the right note with kiwis families travelling within their own country, as well as the tourists….there's just the right amount of information and anecdotes." "There's interesting information packed into every page and the whole family, adults and children, will find something to interest them within its covers…I can imagine a family thumbing its way through the book reading out their favourite bits and by the end of the holiday it should be thoroughly dog-eared through plenty of use…its great to have a travel resource that's been designed with children and families in mind. And I look forward to more in the series."